On Scene: A 48-hour sale on Black Helmet Apparel, let's go! A 48-hour sale on Black Helmet Apparel, let's go! If you're looking for the hottest tees & apparel with fearless images that display your pride in the fire industry, it's your lucky day. Black Helmet Firefighting Apparel was founded by a fireman and firefighters, who wanted to create a unique, hand-drawn, raw-feel when it came to apparel that boast simple messages and words to live by. For the next 48 hours, we're holding a 25% off sale on all Black Helmet Apparel that you won't want to miss. From tee's, thermals, hats, belt buckles, to ladies clothing, too---we've got it all, plenty in stock and ready to ship! So, hop on the Black Helmet Firefighting Apparel train, and be prepared to hear the raving compliments you're sure to get. 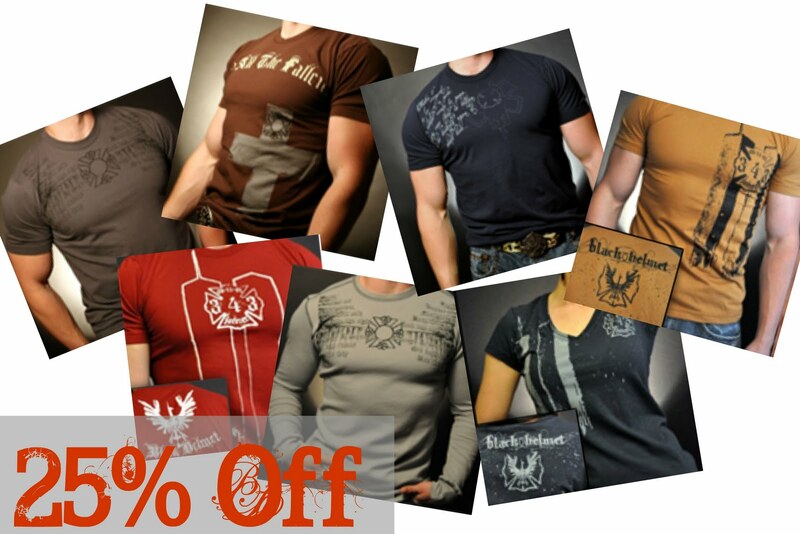 For more details on products, the sale, sizing info and more, click here.